A Satanic invocation kicked off a local assembly meeting in an Alaskan borough last week, sparking debate about whether the assembly should do away with its tradition of opening meetings with prayer. According to the Alaska Dispatch News, the Kenai Peninsula Borough Assembly meeting last Tuesday was opened up with a prayer from local resident Iris Fontana, a member of a local Satanic Temple. Although Iris proclaimed "Hail Satan" at the end of her invocation, her invocation appeared to be mostly a call for people to turn against their religious beliefs and embrace agnosticism. "Let us stand now unbowed and unfettered by arcane doctrines born of fearful minds in darkened times. Let us embrace the Luciferian impulse to eat of the tree of knowledge and dissipate our blissful and comforting delusions of old," Fontana said. "Let us demand that individuals be judged for their concrete actions, not their fealty to arbitrary social norms and illusory categorizations. Let us reason our solutions with agnosticism in all things, holding fast to which is only demonstrably true." "Let us stand firm against any and all arbitrary authority that threatens the personal sovereignty of all or one," she continued. "That which will not bend must break, and that which can be destroyed by truth should never be spared its demise. It is done. Hail Satan." Fontana's ability and the ability of other non-Christians to invoke their gods at the Kenai Peninsula Borough Assembly meetings is a relatively new one. In June, the assembly weighed a measure that would have effectively ended the assembly's prayer tradition before meetings. The measure was filed by Assembly President Blaine Gilman after complaints were received about how that pre-meeting invocations made some citizens feel uncomfortable or unwelcome at the meetings. However, the legislation did not receive enough support to pass. Yet, the assembly did alter the way in which pre-meeting invocations were conducted, giving other religious groups an equal chance to pray for assembly meetings. ADN reports that prior to the change, a group of pastors decided who would give the invocation. But now, pre-meeting invocations will be awarded on a first-come, first-serve basis, based on the order in which people sign up with the borough's clerk. According to ADN, one assembly member walked out of the room during Fontana's invocation. Assembly member Dale Bagley also had a problem with the Satanic prayer and issued his concern later in the meeting. "It's kind of irritating that that's what we got there," Bagley asserted. "I think that if a pastor had been here doing the same type of political statements on something, we wouldn't be letting them back here." Fontana's invocation comes after atheist Lance Hunt delivered a pre-meeting prayer in July. "Only when we calm our minds and let our dogmas dissolve in the face of evidence can we show true wisdom," Hunt said, according to ADN. "I urge you to try and walk a mile in the opposition's shoes, and let reason and logic guide your compassion to a decision." 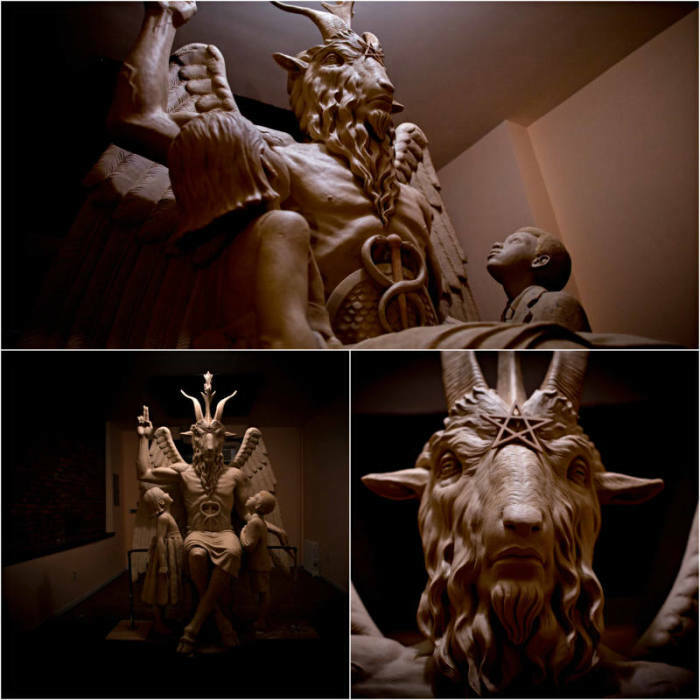 The Kenai Peninsula Borough is not the only municipality that has faced a Satanic invocation controversy this summer. 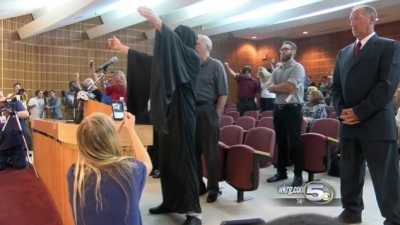 In July, hundreds of Christians and community members in Florida gathered to protest a Satanic invocation that was delivered before a Pensacola city council meeting. 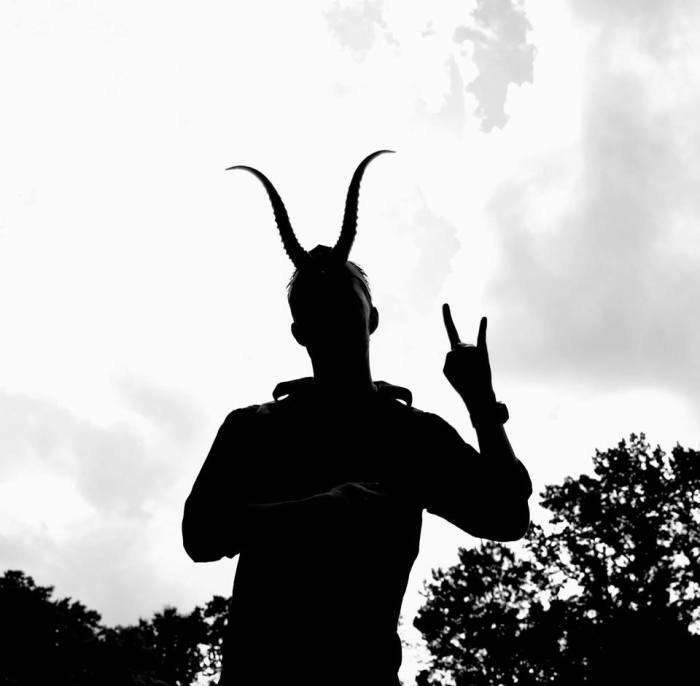 As David Suhor, the co-founder of a local Satanic Temple, gave his invocation, Christians in the meeting room began reciting the Lord's Prayer in an effort to drown out the Satanic invocation. Pensacola City Council President Charles Bare threatened to have those praying aloud escorted from the building if they continued. While many left on their own, some had to be escorted out by security. "I saw a community of people come together and take a stand for what was right," one unidentified resident told WEAR-TV. What Kind of After School Program Is This? !